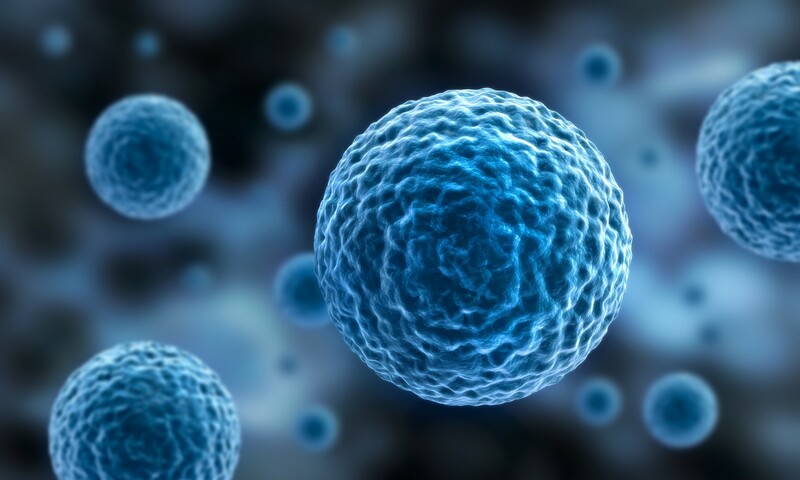 The origins of stem cell therapy date back more than 40 years. It is predominantly known from the treatment of leukaemia where stem cells are taken from the donor’s bone marrow (not to be confused with spinal marrow) and then used for treatment. Stem cell therapy using extraction from the bone marrow has two disadvantages: the extraction is very complex and unpleasant for the patient. In addition, the stem cells extracted from the bone marrow are not sufficient in terms of therapy. The extracted stem cells must thus be reproduced in a lengthy process by adding foreign media. In modern stem cell therapy, stem cells are not extracted from the bone marrow but from the body’s fat. Fat cells contain sufficient stem cells and can be used in therapy without the need for complex reproduction. Moreover, the extraction of stem cells from fatty tissue is significantly more comfortable for the patient. It can be compared with the liposuction used in plastic/aesthetic medicine. Modern therapy with stem cells from fatty tissue presents us with a new field for the treatment of a variety of disorders. ECOM® Center for Regenerative Medicine and Stem Cell Therapy makes use of this field and thus opens up innovative and previously unimaginable therapy options for patients.